And he's one of the coolest, most humble guys you'll ever meet. Buying a Koenigsegg . It’s also about entering an exclusive club where owners, for example, are in with one another through their own WhatsApp group, as well as receiving 4G over-the-air updates for their cars directly from Sweden, much in the same way California-based Tesla does for its owners. But Koenigsegg ownership is much, much more individual, and that’s exactly how founder Christian von Koenigsegg wants it to be. Chatting with the man himself at the Segg stand at the 2017 Geneva Motor Show, Koenigsegg gave us more details about the Koenigsegg Owners App, an idea he devised and implemented, of course. Thanks to this app, owners benefit from remote software upgrades, GPS locating, and even racetrack stats and lap times. 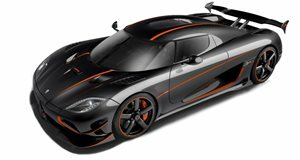 But Mr. von Koenigsegg has a unique app on his personal smartphone that no one else (that we know of) has: The ability to see where every single GPS-equipped Koenigsegg hypercar is currently located on the planet. He briefly showed us his phone’s screen and there they were, several little orange dots against a black background. This was only from the Geneva area, where a group of Koenigsegg owners had organized a rally for their journey to the Swiss show. “It’s technically possible to place a camera inside the vehicles and I could see the drivers, but that’d be creepy,” Koenigsegg added. Totally agree with him. His car locator app isn’t about being "Big Brother" or anything like that, but rather because he cares deeply about his customers, their cars, and their ownership experience. Von Koenigsegg learns much from his customers through their feedback, whether it’s personal or through their cars’ stats, which he and his team then implement. 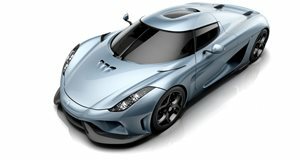 When he set out to build the perfect sports car in 1994, von Koenigsegg had grand ideas and the use of new and advanced technologies, such as over-the-air updates, personal stats and mobile abilities, have become key aspects to that ongoing quest.